in What does community development mean to you? What is the significance of community development in a nation that was built on the backs of enslaved Africans, has historically done everything in its power to subvert both the enslaved and their descendants, and has done little to rectify centuries of injustice? Fights for justice at the community level seem futile when the roots of injustice are centuries old and widespread. It is easy to become cynical and jaded. However, history has shown that grassroots organizing does have the power to take the national stage. At the very least, community development is necessary for survival. An improvement in one community may appear to only be bandaid on a much more widespread issue, but it may help that particular community survive just a bit longer. The survival of that community may be critical for the survival of another, and so forth. While the goal is ultimately to address the larger issue, it often takes work at various levels to achieve such. It has been well-documented that decades of racist federal policy played a significant role in the wealth generation among white families and lack thereof among Black families in postwar America. While it has been 50 years since the Fair Housing Act ended such policy, its effects still reverberate across the country. In 2016 the white homeownership rate in America was almost 72% while the Black homeownership sat at only 42%. The gap is large and it’s clear that this issue requires significant acknowledgement and rectification at the federal level. However, it’s also more of a reason to push for stronger communities at the local level. While change at the federal level, especially in today’s climate may seem unlikely, fights for community land trusts and other efforts by CDCs and the like at the local level can start to create change at the federal level. Enough of this effort has the potential to start to shift the balance. Furthermore, events that take the national stage can create momentum for organizing at the local level. On August 9th, 2014, Michael Brown, an 18-year-old unarmed Black teen was gunned down by a white police officer, Darren Wilson in Ferguson, MO. The murder was one of a series of high-profile killings of unarmed Black people at the hands of police officers across the country. 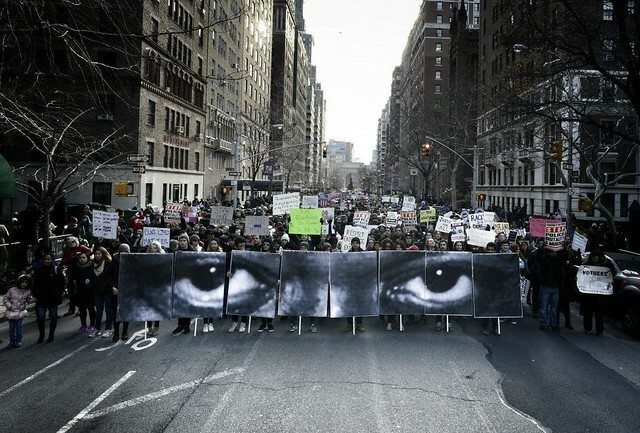 It sparked weeks of protest, most notably in Ferguson itself, but also throughout the country. These events forced the beginnings of a long overdue conversation about racism and policing across the country. At the national level “Black Lives Matter” became a household phrase, with both positive and negative connotations. However, at the local level, Black Lives Matter chapters arose in cities across the country, allowing for a new group of activists with a localized focus on not only issues of policing, but community development as a whole. Work at the local level allowed for a coalition known as The Movement for Black Lives to form and create a political platform pushing for reform in everything from economic development to community control of law enforcement, schools, etc. While pushes for community development at the local level may seem minuscule, they have the power to spark national conversation and change. Donald Taylor-Patterson is a second year Master in Urban Planning candidate at the Harvard University Graduate School of Design. He is originally from Philadelphia, PA. Having grown up witnessing the legacy of decades of disinvestment and discrimination in his own community, he is pursuing a planning degree with hopes of finding ways to dismantle the systems that have created and sustained injustice in low-income communities. Check out other posts in this series: What Does Community Development Mean to You?